"I am probably the most stubborn person you'll ever meet and my daughter is 10 times worse," said Lisa Sayers, the mother of Sam Sayers, who was last seen hiking on Vesper Peak on Aug. 1. I didn’t have news, I told Lisa Sayers. Just concern for how she was managing since the Snohomish County Sheriff’s Office called off the search for her daughter, Samantha, 28, on Aug. 23. Officials had spent nearly 1,000 hours looking for the young woman, who was last seen hiking on Vesper Peak on Aug. 1. That’s almost a month now, out there. Somewhere. The Snohomish County sheriff’s department concluded that they — and a dozen other agencies — had done all that they could. Sayers, an avid hiker, left her Belltown apartment Aug. 1 for what she told her boyfriend was a day hike, and was expected home at 6 p.m. She didn’t return, and her car was found at a trailhead 27 miles south of Darrington on the Mountain Loop Highway in the Mount Baker-Snoqualmie National Forest. 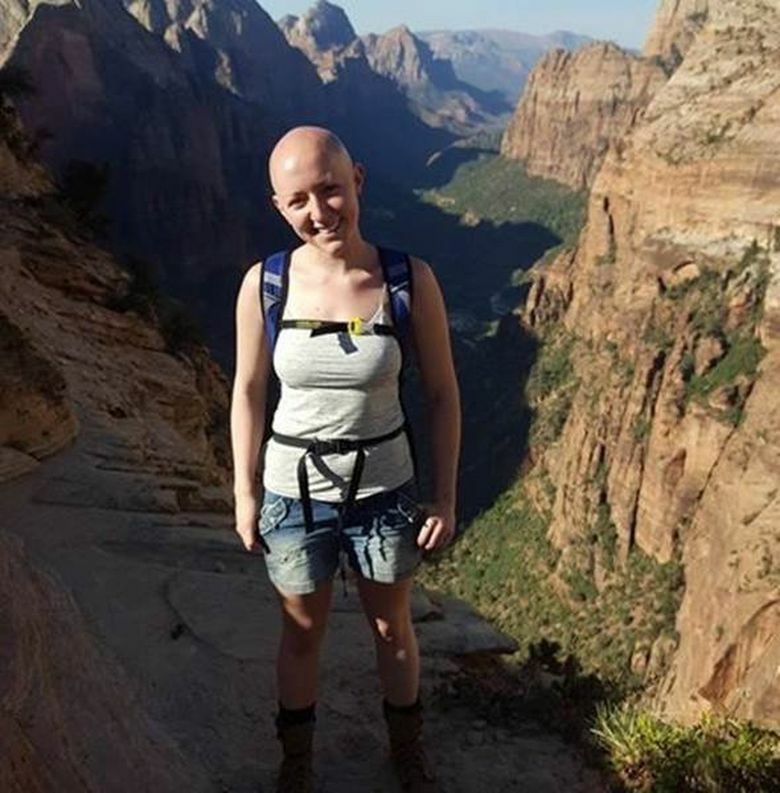 A group of hikers reported seeing Sayers on her way up Vesper Peak at midmorning; and another hiker told officials he saw her the same day at the 6,220-foot summit and watched her head south. “We have exhausted all leads and tips,” SAR Sgt. John Adams said in a statement. In other words, they were calling it, for now. Good luck with everything. We hope you find your girl. Wait, I thought. She’s still out there. I can’t imagine what it is like knowing that your child is out there — and knowing nothing more beyond that. Lisa Sayers was grateful for my concern, but her work is cut out for her. She’s moving on. There is a Facebook page dedicated to finding Sayers. It has 26,000 followers and includes notes on what volunteers are spotting on drone footage. There are also several images of the terrain on Vesper Peak taken by a man named Steve Monchak while he helped with the search. The photos show narrow, deep crevasses where the earth has been seemingly sliced open. A cave. It is steep and jagged, both breathtaking and frightening. There is a drone video that Sayers’ boyfriend, Kevin Dares made of the terrain. In places, it looks like the surface of the moon. There is a GoFundMe page, for which 964 people have donated $41, 718 in 26 days — money that was used to fill bags with food and supplies, which were then dropped in the forest in the hope that Sayers would find them. Clif Bars. A flashlight with batteries. A poncho. A compass. Socks. A knife. Caution tape. The money will also help support a private helicopter, an international tracking team and technical climbers volunteering their services. In a press release, Dares said he had engaged The Jon Francis Foundation, a Minnesota-based nonprofit that steps in on wilderness searches when law enforcement must step out. All while Lisa Sayers and her husband, Ron, waits back home in Girard, Pennsylvania. At some point, they had to return to their lives. Lisa Sayers is a regional vice president with a health and wellness company, but her business partners and clients know what’s going on, she said. Still, it was one of the hardest flights she has ever taken; leaving, traveling away from the place where her daughter was last seen. When was that? I asked. She and her husband have each lost about 10 pounds since their daughter went missing. And they will, she said, in the same tone with which she answered the phone. Tough. No-nonsense. What. “I have to follow my gut,” Sayers continued. “And for now, she’s alive and she’s strong and she’s sick of waiting for us.